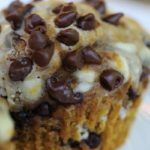 Pumpkin cheesecake chocolate chip muffins combine three of my favorite flavors to deliver the perfect Fall treat. 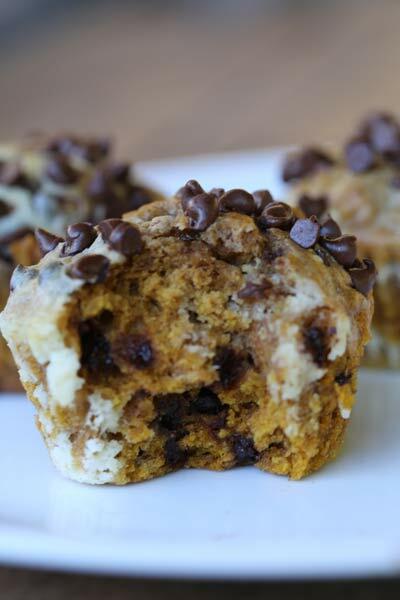 Pumpkin chocolate chip muffins with cheesecake inside, yes please. You know when you see a recipe, and you just have to make it right now? 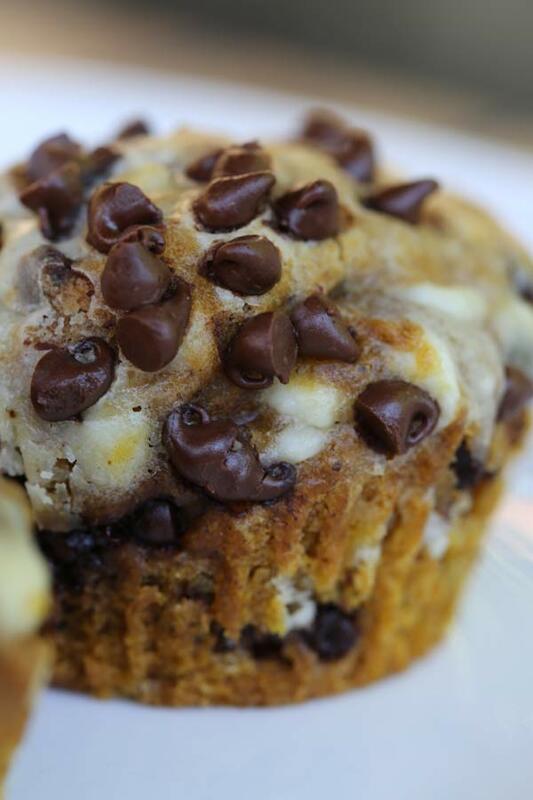 Well, this was how these pumpkin cheesecake chocolate chip muffins and I met. I had never seen this combination of ingredients before, but I knew instantly this would be a gold medal winner in my family. 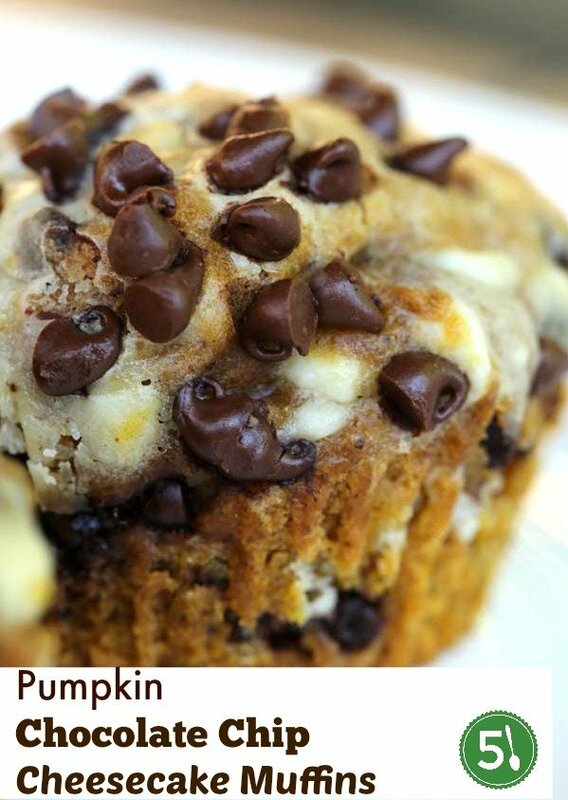 If you like pumpkin, cream cheese and chocolate, this is your perfect recipe. They are very moist and bursting with flavor. My pan of twelve muffins is down to 3 and they’ve only been out of the oven for 2 hours. Definitely use mini chocolate chips. They are the perfect size chips to be sprinkled on top of this deliciously moist muffin. When stirring the cream cheese with the egg, vanilla and milk, you can leave it chunky or mix in a stand mixer for 1-2 minutes. Either way will deliver a perfect cream cheese swirl. To make the cream cheese layers, mix the cream cheese, sugar, egg, milk together.